The “International Jerusalem Convention for Popular Palestinian Folklore” invited El-Funoun to open the convention with a new performance. 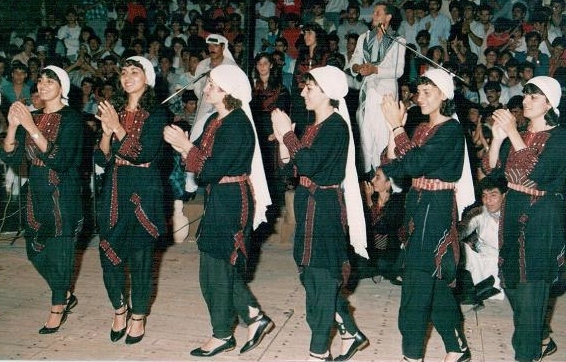 Due to the limited time allocated, the group created a new adaptation based on a different artistic interpretation of a number of songs from “Wadi a-Tuffah” and “Mish’al”. The success of “Afrah Filastiniyah” bolstered the pro-change school of thought within El-Funoun, and consequently had a decisive effect on the group’s artistic planning and overall vision.